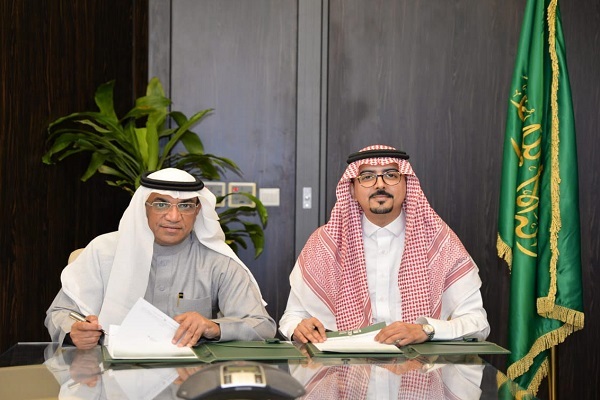 Saudi-based Al Yusr Leasing and Financing Company said it has signed a wakala investment agreement with Saudi Kuwaiti Finance House Company (SKFH). A funding specialist, Al Yusr Leasing and Financing Company provides a variety of funding programmes that are compatible with Islamic Sharia provisions and are being applied according to flexible and fast procedures. As per the deal, Al Yusr Leasing and Financing Company will become the investment agent for Al Yusr Baitak Financing Fund that was recently launched by SKFH in a private and closed offering as a sharia-compliant financing fund. Al Yusr Baitak Financing Fund is the first fund that obtains an investment licence pursuant to the new instructions issued by the Capital Market Authority and Saudi Arabian Monetary Authority (Sama). These instructions allow CMA-licensed companies to invest funds with financing companies licensed by Sama. The fund aims to invest assets in the financing operations of Al Yusr under the terms and conditions of the Wakala investment agreement and in accordance with the regulations related to the operations of launching and managing investment funds, remarked Bader bin Khalaf Al Shamari, the chief executive of Al Yusr Leasing and Financing Company, after inking the deal with Bader bin Hamed al Anzi, the chief executive of SKFH and Fund’s chairman. “Al Yusr is the first financing company in the kingdom that finances its operations through investment funds licensed by CMA. It aims to expand in capital management, diversify means of financing, and raise the liquidity level to provide financing services in order to include the largest possible segments of the targeted sectors." noted Al Shamari. "Furthermore, it aims to increase its market share in financing activity, which will increase the customers’ confidence and achieve the highest percentage of targeted profits,” he added. Al Shamari pointed out that the strategic thinking adopted by the company aimed to expand the formation of integrated partnerships with investment entities in financing and money markets, according to strategies and plans that coped with the new trends of the market and the trends of customers of all segments. The company was keen also to develop an advanced approach to its products and financing activity in line with customer expectations, he added. Al Enzi said the fund mainly targets achieving a regular returns for investors, through investing funds with the companies licensed by Sama, as well as adding value and contributing to diversification and development of financing sector in the kingdom effectively. "The success of the fund reflects investor confidence in the investment opportunity offered by SKFH," he noted.